The Church Hill North Retail Center will consist of two parcels of land. 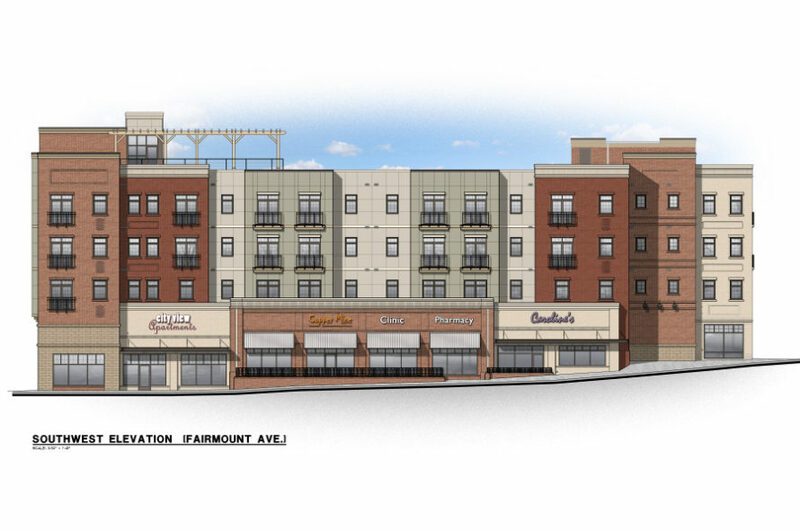 The first will consist of a grocer, retail, and 42 apartments. The structure will be 4 stories with a total height of 60’. There will be 81 parking spaces provided, as well as 14 short term bike spaces and 14 long term. The new space will cover nearly 2 acres. The second will be a mixed-use facility that will contain the new culinary school for J. Sargeant Reynolds Culinary Institute, a restaurant, commercial office space, and 12 residential apartments. The building is a four-story structure totaling approximately 50,000 SF. 58 parking spaces will be provided north of the building.